What is the difference between Standard and Shallow Depths? The Shallow lightbanks offer a slimmer profile than standard lightbanks, perfect for when space is critical. However, because of the decreased depth, certain lights may not produce the perfectly even light across the front screen. We highly recommend using lights with an exposed bulb or flash tube, such as a Chimera Triolet with shallow banks, as opposed lights where the bulb is recessed (i.e. traditional Par or Fresnel lights). 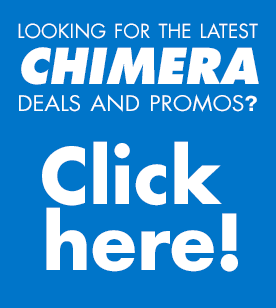 https://chimeralighting.com/wp-content/uploads/2017/08/chimera-lighting-logo-copy.png 0 0 Chimera Lighting https://chimeralighting.com/wp-content/uploads/2017/08/chimera-lighting-logo-copy.png Chimera Lighting2017-02-21 10:04:322017-07-03 13:36:54What is the difference between Standard and Shallow Depths? Can I use a Quartz Bank on a Video Pro speed ring? What is the difference between a Video Pro and a Quartz Lightbank?